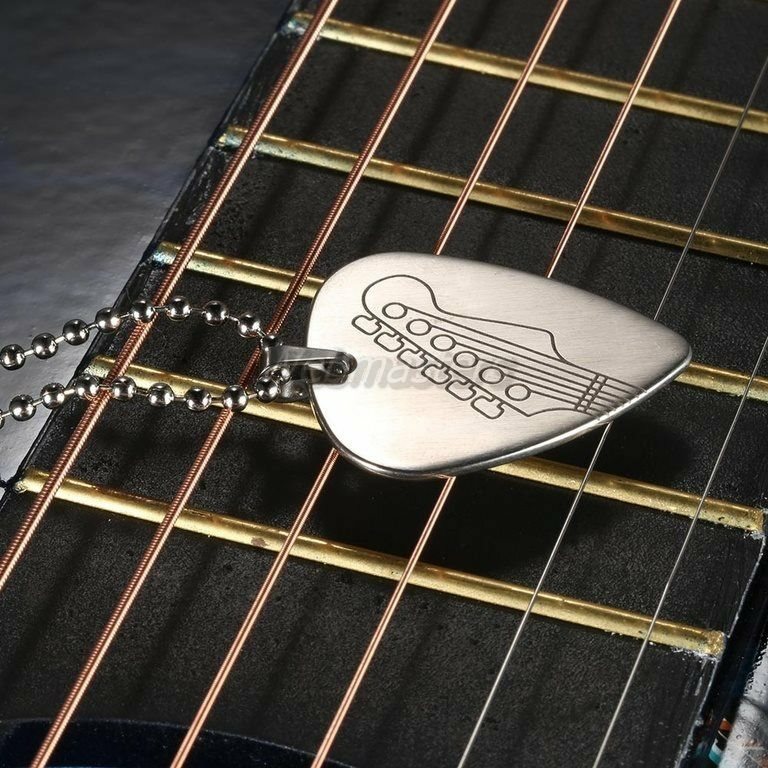 Stainless steel guitar pick necklace, very durable and exquisite. A flat, triangular guitar pick, with different engraved pattern on the front. Euipped with a 50cm , can be used either as a necklace or as a guitar pick. The thickness of it is 0.8mm. Music lovers will enjoy using it or wearing it.